Our line of microphone rentals for pro-users begins with the highly regarded QLX-D. 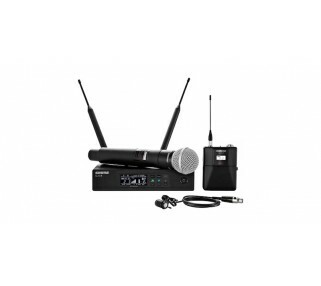 The entry point for our professional grade line of wireless microphone rentals, the Shure QLX-D delivers defined, streamlined performance with transparent 24-bit digital audio. The QLX-D employs the same amazing wireless technology that Shure employs in it's higher-end microphone systems, ensuring great sound at a great value. Setup and operation is simplified, but full control can be accessed via connection to Shure's Wireless Workbench application for advanced frequency coordination, among other things. 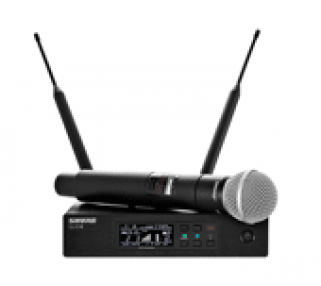 The QLX-D® offers outstanding wireless functionality for demanding live sound events.